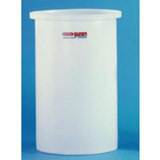 These Plastic Chemical Storage Tanks are constructed in a cone hopper design, making them perfect for processing not only pharmaceutical powders, but also chemicals and food materials. Helping facilitate an easy mixing, processing, or temporary storage process, these hoppers are constructed with an interior that is smooth and seam-free. This leaves no area or space for stored materials to get stuck or caught up in, on their way out of the tank. Additionally, cones are made at a sixty (60) degree angle, causing liquids to flow swiftly out of the tank. 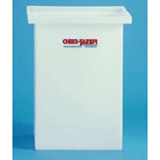 This plastic storage tank is supported with a stainless steel stand that makes storage easy. 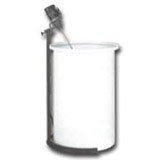 Regardless of your application, this cone tank is for you!